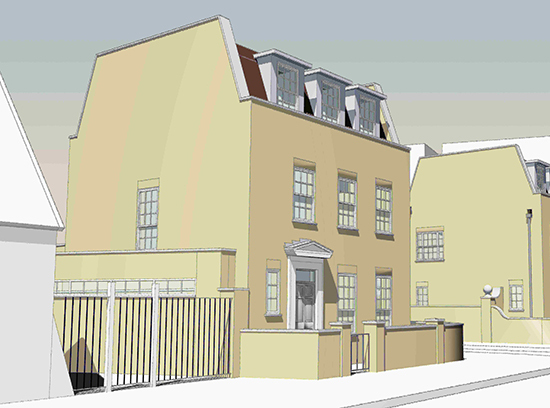 An unusual brief for two private clients who were adjoining owners of matching 2 storey detached houses. Each wanted to develop the roof-space above their home but were aware that unless done jointly it was likely to be refused by Camden Planners. Applying in tandem, 11.04 were able to obtain planning approvals for each with a resulting net increase in value of £350,000+. A traditional mansard solution had to be adopted to reflect the local context where this typology was common. The buildings looked more “authentic” with the extension than they had previously – with a 1960’s flat roof over a modest two storey house.